The Serbian True Orthodox Church, governed by the Bishops’ Conference, composed of two bishops – the bishops of Akaki and Nektarii, – for the care of the parishes of the CPI in Ukraine, which separated from the Synod of the RTOC in 2015-2016, ordained monk Nikon (Yevseyev) as a hieromonk, reports the correspondent on January 23. « Portal-Credo.Ru ». Bishop Nektariy made the consecration. 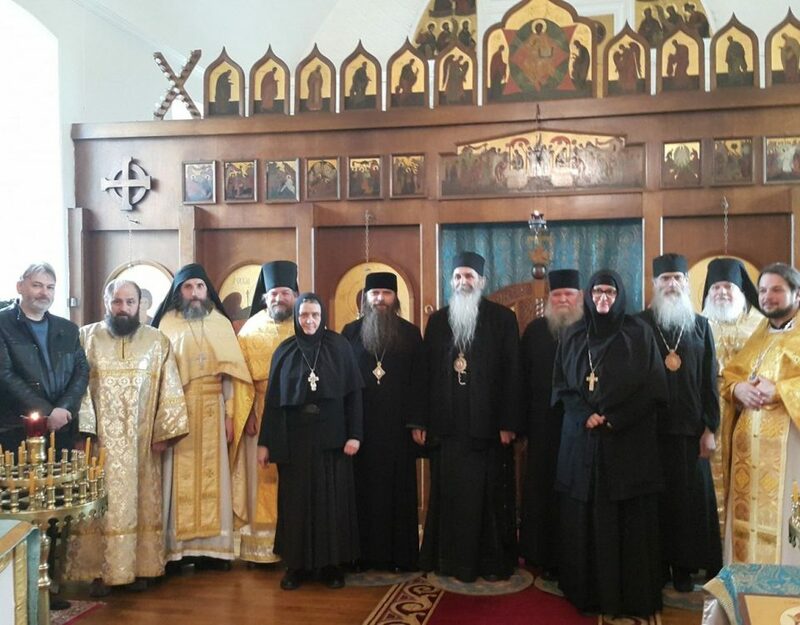 Previously, for the ordination of hieromonk Nikon, the Bishops’ Council of HICP received the consent of the Bishop of Trenton and North American Stephen, who also separated with the diocese, as a whole, from the Synod of the RTOC in 2015. The parishes in Ukraine stopped the commemoration of the RTOC bishops, accusing the Synod of “heresy, Sergianism and pathological lies”. Hieromonk Nikon performed the first independent worship service for the Nativity of Christ in the Chernigov parish of the CPI. 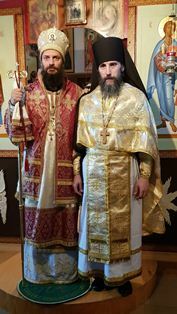 Liturgical practice – the appointed 40 liturgies after the priestly consecration – he was held in Lesnino St. Bogoroditsky Monastery in France, the oldest monastery of the “historical ROCOR”. Earlier it was reported that the Lesninsky Monastery in 2016 left the RTOC and was accepted under the omofor of the Serbian True Orthodox Church. I thought the STOC wished for unity with the GOC-K? 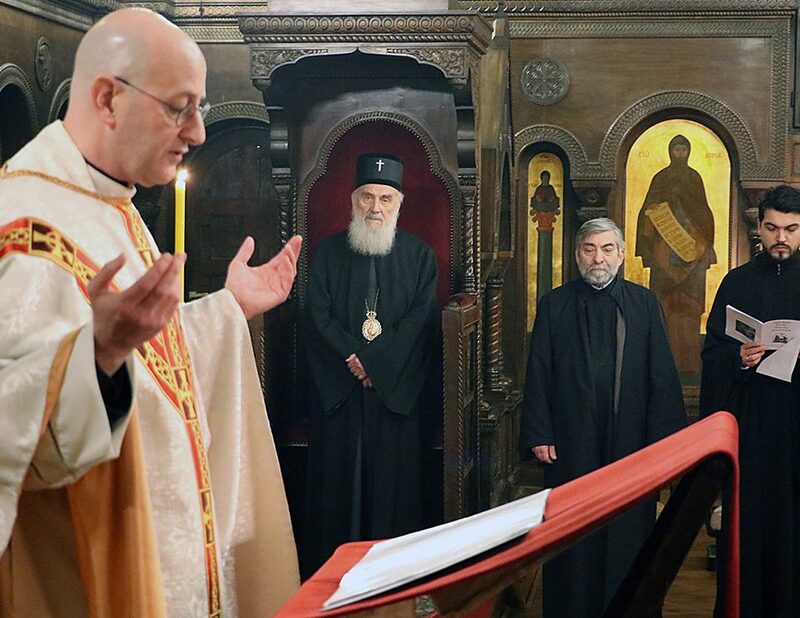 I think that the Serbian True Orthodox Church under Bishop Akakije and Bishop Nektarije wants primarily to build up traditional Orthodoxy among the Serbs without interference from outside — recognition and support from outside, yes; but interference from outside, no. 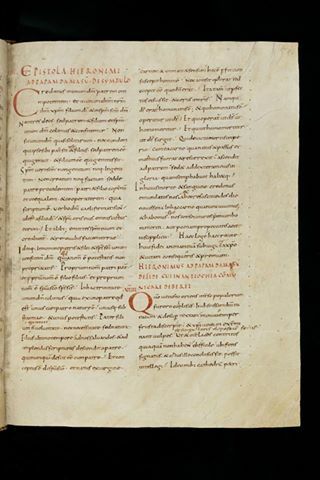 The Kallinikos synod still will not release its flock in Serbian territories to the indigenous bishops there. I, personally, see that as a form of aggression by the Kallinikos synod against the Orthodox Church in the Serbian territories. 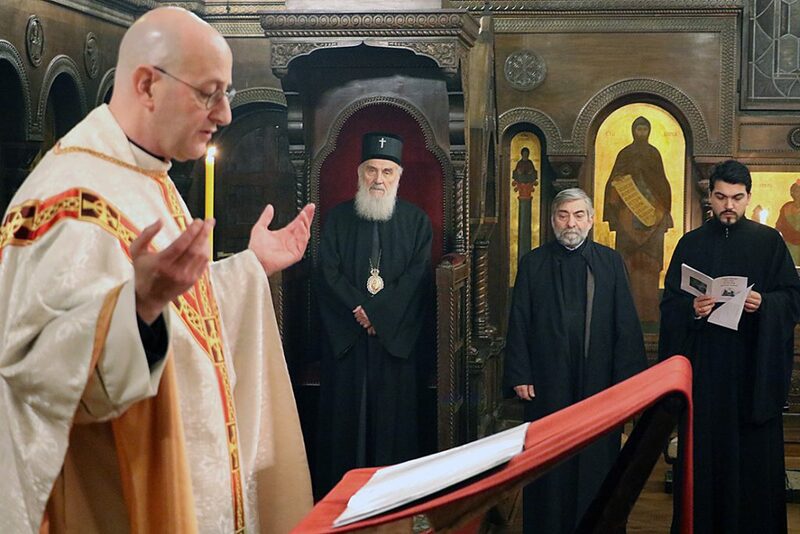 The STOC, understandably, wants the Kallinikos synod to stop its interference in Serb territories. Archbishop Tikhon should be tolerant of different political views among his flock in Russia and Ukraine. As far as true Orthodox Christians in Ukraine: some may think the Putin regime worse and some may think the Kiev regime worse. Just because these two regimes are at war, does not mean that the true Orthodox flock should be. 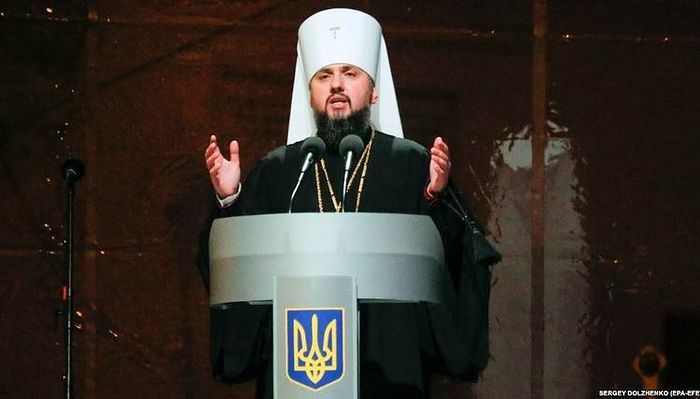 If Archbishop Tikhon has truly allied himself with Putin’s aggressive actions, as opposed to standing up for traditional Orthodoxy, which Putin persecutes, it is understandable why some in Ukraine might not want to be under Archbishop Tikhon. 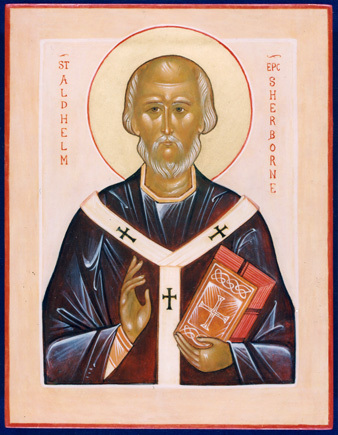 However, I am not sure if Bishop Stefan of Trenton or Bishop Akakije of Serbia are the most natural bishops to be under for those in Ukraine. There are ROAC bishops in Russia and Ukraine, who are also divided into two groups. In Russia and Ukraine, the violence of the Putin regime may make true Orthodox unity, in a correct confession of faith, even more difficult. In times of persecution, a lack of administrative unity can be a blessing, because bishops, dioceses, parishes, monasteries, and convents may be more self-sufficient, and better able to survive the persecution. All groups, however, are obligated to confess the traditional faith without addition or subtraction, and to place the faith high above political preferences. If administrative unity is far off, or never comes before the Second Coming, at least there should be a priority on our confession of faith, which is a matter of God-given truths, and political opinions need to be understood to be human and fallible. 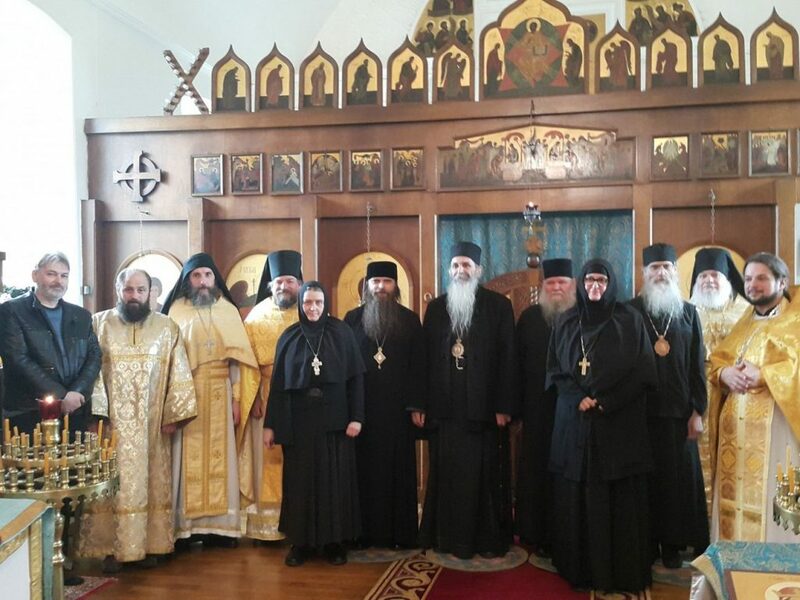 Ideally, local Serb bishops should administer Serb territories, local Ukrainians Ukrainian territory, local Russians Russian, and local Greeks Greek, local Cypriots Cyprus, and local North American bishops should shepherd the true Orthodox Church in North America. This principle is taught to us in the Apostolic Canons. Being more respectful to it, along with putting the purity of our confession of faith first, could lead us out of some of these problems. I’m hoping that it’s just rumor that Archbishop Tikon said these things as Putin was never a friend of the True Orthodox. As for the GOC-K being aggressive to one of its sister churches it think you might be right. Every church should have its own archbishop/metropolitan I’m happy that bishop Akakijie is speaking out against this issue.